The Cadoma Foundation dedicates itself to historic preservation of our local landmarks, maintaining our area's history in every way possible. The recently renovated Bishop House museum provides visitors with an opportunity to tour the pioneer home of a family who lived in the region for over 100 years. Learn about local life and how things have changed over the past century throughout our region. Take a look at our upcoming events to see what's happening at the Bishop House. What's going on at the Bishop House? With so many things to do in Casper, WY, take time to enjoy the history of our great region. Visit the Bishop House today to relive the good old days. The Cadoma Foundation's purpose is to ensure that historic places are preserved in perpetuity by fostering a strong ethic supporting stewardship of historic places, as well as acquiring, maintaining, restoring and preserving historic buildings in the state of Wyoming. 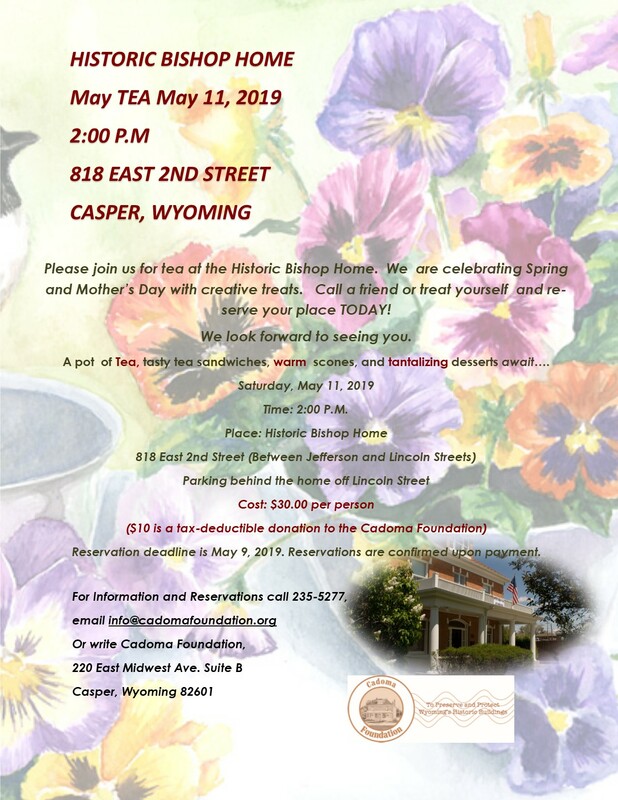 The Bishop House Family Museum connects the young and old to the history of Casper, Natrona County and Wyoming through a pioneer family who lived, laughed and labored in this historic home for over 100 years. Visit this historic home in Casper, Wyoming today to discover a piece of our local area's history.